A trendy take on a no-nonsense, time-only watch. First introduced in vintage guise part of the 1957 Trilogy, the Railmaster then got a makeover to create the entirely new Railmaster. A straightforward time-only watch with extreme magnetism resistance and a hint of retro in its design, the Railmaster was originally offered with either a black or silver dial, conservative looks that matched its styling. 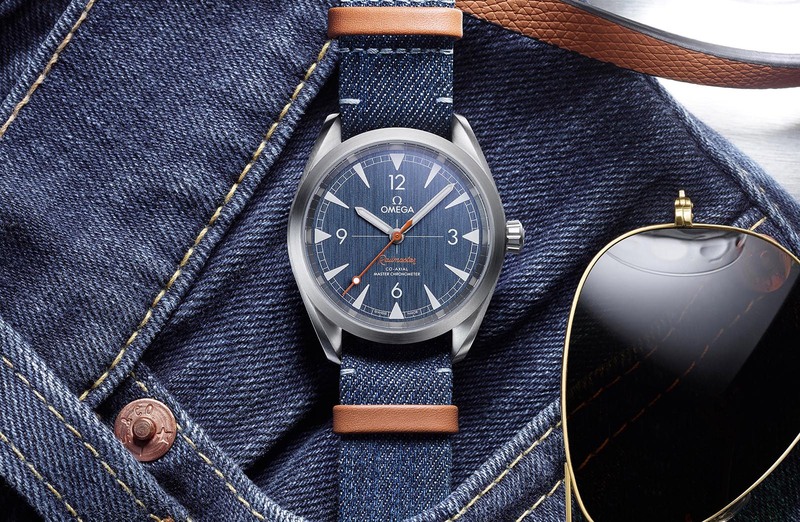 But now the Seamaster Railmaster Co-Axial Master Chronometer (it’s actually a sub-collection of the Seamaster) has been livened up with a striking “blue jeans” inspired dial, orange accents and a snappy denim fabric strap. While denim today has a broad, youthful appeal, the inspiration for the new Railmaster leans more towards the common man. 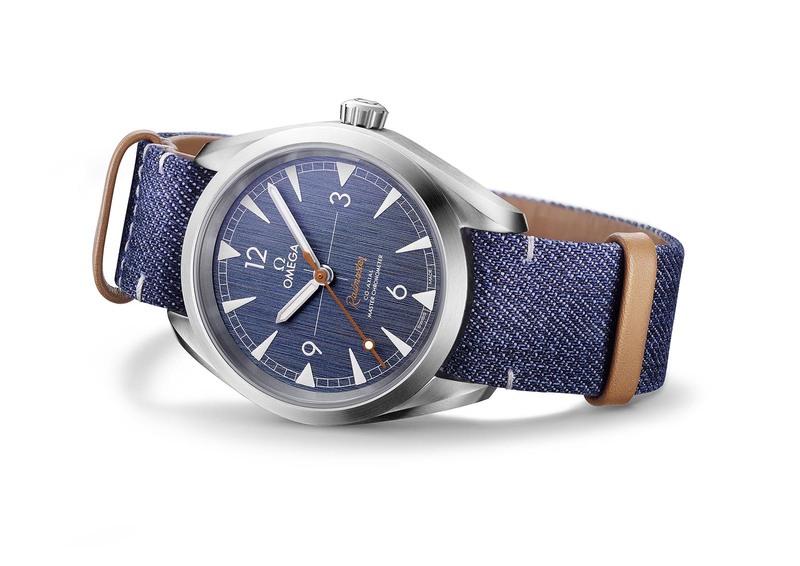 Omega explains, with a tinge of ironic populism, that the hardwearing fabric was once the uniform of “hard-working labourers… miners, factory workers, farmers”, and railroad workers; notably anti-magnetic watches were another piece of essential equipment for railroad engineers. 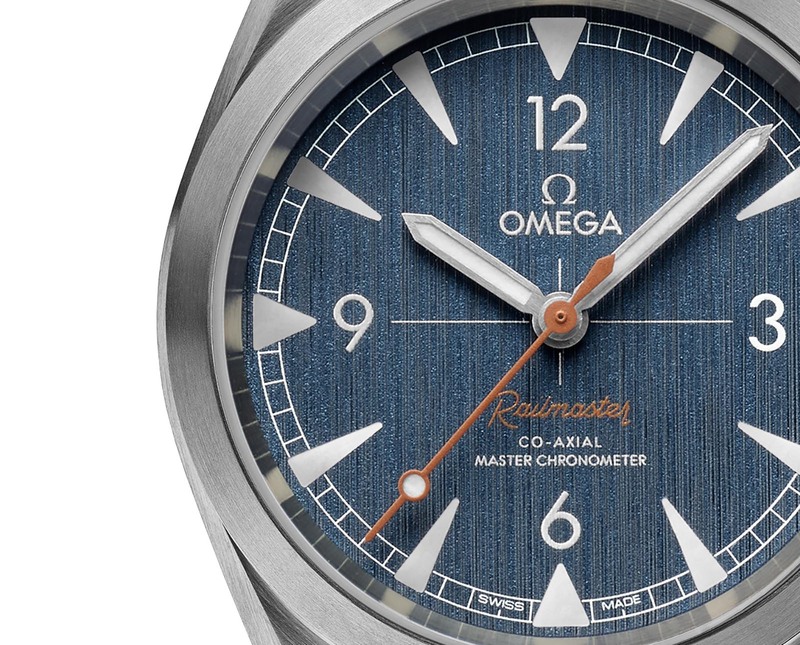 Just like the other Railmaster models, the dial has been given a coarse, vertical brushing, but with a pale blue treatment, creating a charming, denim-like effect. The Arabic numerals at the quarters and a crosshair in the centre gives the design a retro touch. The hands are brushed stainless steel, while the Super-Luminova on the markers and hands is a pale grey to complement its cool-tone colour palette. Both the lollipop seconds hand and Railmaster logo are in pale orange, meant to evoke the contrast top stitching on jeans. 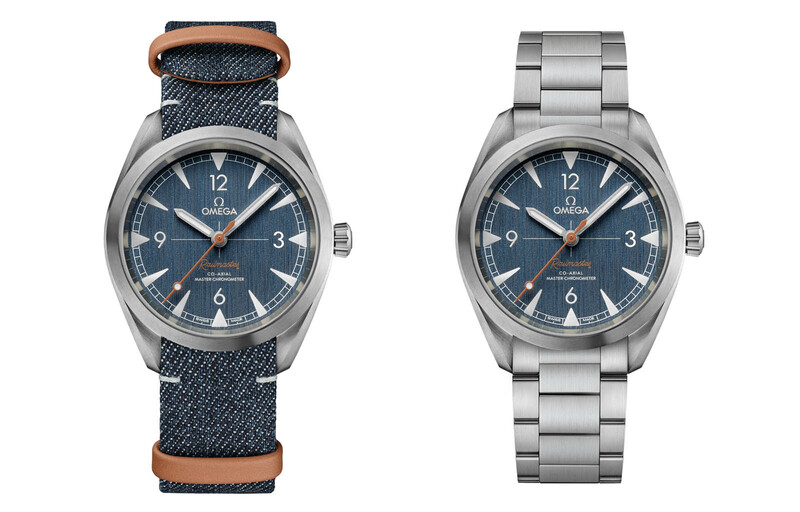 And the Railmaster “Denim” is also offered with an actual blue denim fabric, NATO-style strap with leather lining and keepers (a steel bracelet is the other option). The rest of the watch has the same specs as the other Railmaster models: a 40mm stainless steel case with a 150m depth rating. The solid, screw-down back incorporates Omega’s Naiad Lock system to secure the back to the case middle; it’s essentially a bayonet mechanism like that used for camera lenses, which ensures the case back logo is perfectly aligned with the case. It’s powered by the self-winding cal. 8806 that has a 55-hour power reserve. The movement is a Co-Axial Master Chronometer, which means it features the lubrication-free escapement invented by George Daniels, and more crucially, a magnetism resistance of over 15,000 Gauss thanks to the Si14 silicon hairspring and patented alloys used for the escapement parts. 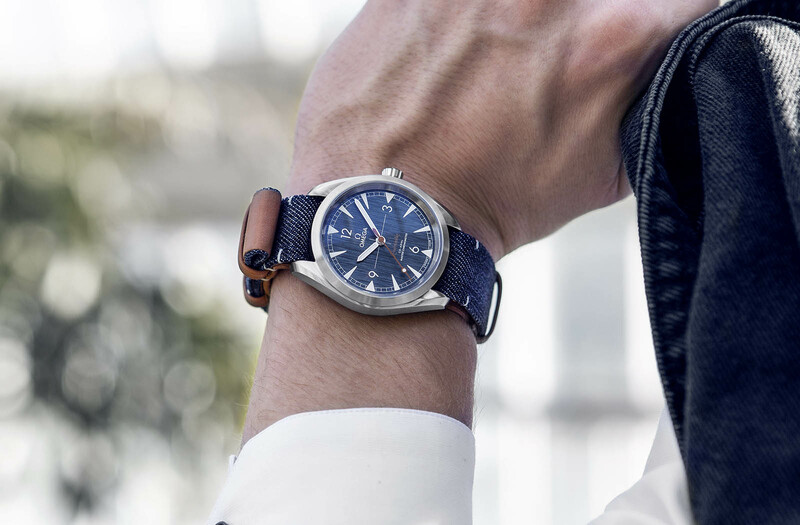 The Railmaster ‘Denim’ Co-Axial Master Chronometer on a denim NATO strap (ref. 220.12.40.20.03.001) is priced at US$4900. And on a stainless steel bracelet (ref. 220.10.40.20.03.001), it costs US$5000. Both prices are exactly the same as the black or silver dial variants. They will arrive in stores the last quarter of 2018. The in-house, integrated chronograph movement is now more affordable. Available in steel for the first time, the Girard-Perregaux 1966 automatic is the brand's most affordable wristwatch, but still equipped with a self-winding, in-house movement.